On-site banking and postal services cut down on errands. Convenience store and gift shop make it easy to pick up small items you need. A variety of dining venues make dining out with friends easy, fun and relaxing. Library, meeting, and activity rooms give you space to learn new things and meet new people. Art studio, woodworking shop, along with activity centers encourage you to explore your hobbies and master new skills. Transportation means you do not need to drive if you’d rather not. For your peace of mind, we also provide primary medical care and routine health screening appointments at the Wellness Suite, which adjoins Oak Tree Center. 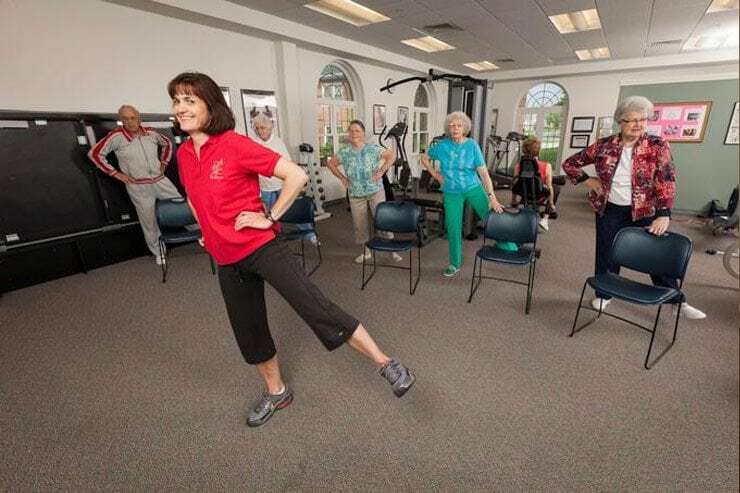 We also provide rehabilitation therapy, personal care, 24-hour health care, and memory support services as part of a seamless, person-centered continuum of care, should you ever need it. And if you’re the caregiver of a loved one who needs extra support, you may choose to make use of our respite care services. All of these health care services are located right on our campus, so you need not worry about finding a doctor or arranging for your care.